South Korean tech giant Samsung Electronics has announced a delay to the launch of their anticipated Galaxy X foldable smartphone, citing poor user experience (UX) feedback from developers. Samsung’s President of Mobile Communications Business, DJ Koh initially stated the launch had been delayed until the fourth quarter of 2018. He has since moved his projection back to a 2019 release date. Major players in the mobile phone industry have been discussing designs for folding devices over the years. 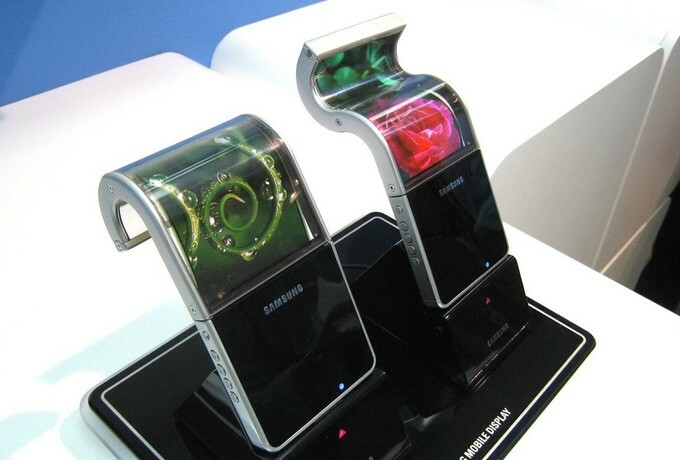 Currently, patents are held for folding phone technology by Samsung, Apple, Microsoft, and LG. Samsung has made the biggest strides toward foldable success thus far and still has a viable chance to be the first to release them. Samsung has already mastered the curved screen, which was a huge step in the evolution of mobile phones. The success of the curved screen Galaxy models has given Apple a run for its money, which has further stabilized Samsung’s position in the market. The likelihood of being the first to mass produce foldable phones would give Samsung a larger market boost, especially in Asia. But first, they need to iron out the glitches that come with pioneering a new technology. When mobile phones were launched in 1983, user experience was not an aspect that developers had to consider. At the time, phones were designed only for wealthy users and did not offer much in the way of efficiency or user-friendliness. In the new millennium, phones have become an extension of our bodies and user experience alone can define whether a new technology will be successful. In Samsung’s case, the UX was found to be unsuitable for consumers, so they went back to the drawing board. Developers are still designing the specifics of the hardware and software. The technology will require a completely new operating system to meet the idiosyncrasies of the physical design. What does the consumer want from foldable technology? What would a user-friendly menu look like? What add-ons would make the design more practical? How bendable should it be? Developers have so far found that the UX of the current model does not do justice to the physical aspects of the phone. Samsung will have to create new software and user experiences to match the novelty of the folding technology. The company is also cognizant of the software improvements made with Apple’s iPhone X. Possessing both new bending technology and a strong operating system, Samsung will need to have a successful launch but also sustain their market. Samsung has said that their reasoning behind the launch delay involves UX issues, but there are other problems that involve basic design flaws. The company is actively working on these flaws, which is evidenced by the ongoing patent requests submitted to the World Intellectual Property Organization (WIPO). The latest patent request has revealed that the screen will be split into two separate displays, divided by a metal strip, in contrast to the initial prototype’s solid display. Prototype testing on the single screen found that after a number of folds the screen developed a white line in the middle. The newest design proposal will still allow single screen display when the device is open but will be divided into two screens once folded. The big problem that arises with foldable screen technology is the fact that foldable batteries do not yet exist. Small components of the phone, such as cameras and sensors, can easily be manipulated to adapt to the physical design, but the battery is a different matter. Samsung will need to decide the most effective means to design a battery that will work with the design. Will it be one flexible battery? Are two small batteries on opposite ends an option? It is possible that Samsung has already addressed its battery issue. With new technology being patented, the company is understandably tight-lipped about design specifics. Currently, cell phone battery life is a common headache for all of us, so it will be interesting to see how Samsung handles it. Production is an additional issue that has arisen for Samsung. The screen panels come with a hefty price tag, which has prompted the company to begin its own production of displays. Since the display will be designed specifically for their new products, it will address cost and usability. Mass production of all technologies comes with high defect rates. The goal for technology companies is to keep the defect rate below 10-20%. Current Galaxy products on the market had high defect rates during production, so it is reasonable to assume that the Galaxy X will encounter similar problems. If there are two areas that Samsung has shown a knack for, they are phone technology and marketing. These two factors alone will likely make the Galaxy X a successful product, even if a competitor beats them to the punch. Marketing for the X design began years ago, piquing consumer interest before there was even a prototype developed. Incremental press releases have also kept the topic a popular point of conversation in techie circles. The Olympics have also been a huge marketing tool for Samsung. In 2016, the company released an Olympic version of the Galaxy S7 Edge, selling the product to consumers for a higher price than the ordinary design. The 2018 Olympics bring an even better marketing opportunity for the company, being held in Samsung’s home country of South Korea. In addition to their typical home-grown advertisements, Samsung has produced a snow-white Galaxy Note 8 to distribute to athletes. Regardless of the flaws that Samsung has encountered developing the foldable phone technology, the company appears to be miles ahead of its competitors. The company still has a firm hold on the international market and the folding technology will help them sustain that market. User experience issues take time and brainpower to resolve successfully. Luckily for Samsung, they have an abundance of both. I wanna be the first guy to buy this on this planet and I want the whole world to know it.